Waste disposal & waste management is just one of those jobs we would all like to stay clear of. It becomes a laborious task that takes time and effort when we would rather have it done and sorted for us. Unfortunately, if you’re in need of a skip then there really is no other option since you’re probably dealing with a large amount of waste if you’re in the market for a skip in the first place. You could consider transporting the waste yourself, but unless you have the vehicle to do so, this itself can be a lengthy and time-intensive process! This is why skip hire is such a good idea when it comes to arranging a waste management since you’re able to remove these lengthy processes and have a convenient way of disposing of your waste materials. 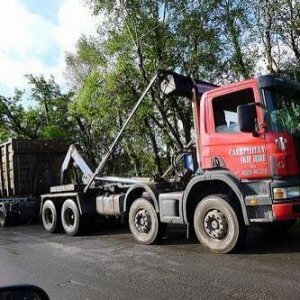 Looking for a reliable skip hire Cardiff service? Keep reading our article! Arranging and organising reliable skip hire is even more important for those working in a professional trade, as a clean job site makes for safe, healthy and clean surroundings. Having a cluttered work site can lead to health & safety complications & repercussions so it’s better not left to chance when it comes to peoples health. Site managers could be responsible if a worker is injured on site and if there are obvious health and safety concerns on site because of said waste, then the site manager will be held accountable as it’s their job to make sure workers are able to operate in a safe work environment. Caerphilly Skips takes the legwork out of skip hire, making waste management and disposal a breeze. We’ve had years of experience in the trade so we understand what it takes to make our customers not only happy, but loyal. For a premium service to last as long as we have, we can only provide the best to our customers, and we have done since the first day we started! Caerphilly Skips can make removing residential, industrial and commercial waste a lot easier. 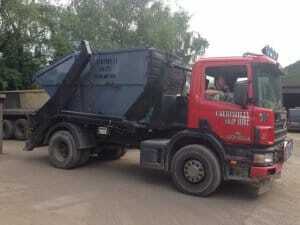 With our wide variety of skips, transported to your door, you will have the best solution for skip hire Cardiff. Skip hire in Cardiff can be a fairly simple process, as long as you opt to inquire with a good company. With offerings like instant quotes and skip hire calculators, you are usually able to arrange to skip hire within the next working day! 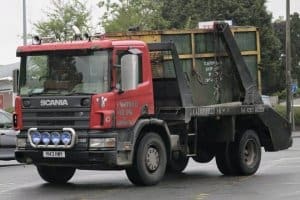 Depending on the type of skip, you should determine how long you are going to need it and what type of skip is appropriate to you. There are a wide range of waste skips as well as different levels of service to suit your requirements, especially if you are unable to find space for the skip on your property. This is where something like a “wait & load” service comes in handy as you fill the skip as skip lorry waits, removing the need for any permits & dedicated space for the skip! 1. Think about the size – You should ask yourself, how much waste do you need to get rid of? As a general rule of thumb, it’s always good to overestimate the size of the skip as it will never hurt to have more space to throw your rubbish out. This being said, you should be aware of the location you are storing your skip since space restrictions come into place when you think about having bigger skips on your property. Of course, public highway permits are always an option so don’t let that put you off. Keep in mind that overloading skips are illegal so always be aware of how you are throwing your waste away. 2. Think about the location. If you are living in the middle of a city, need to do work on a block of flats and you don’t have access to a driveway, then you might have to re-consider your how you use your space since you won’t be able to place your skip on private property. If your skip is on a public highway, then you will have to obtain an on-road permit from the local authorities/council. This can be arranged by Caerphilly Skips, taking a cumbersome and boring job out of your hands. Caerphilly’s permit application service comes to you at no extra cost as we aim to provide the easiest skip hire service! 3. Understand what you can throw away. Most customers needing skip hire understand what they are allowed to discard whereas some may not know due to a lack of general knowledge. As a rule of thumb, any hazardous waste needs to be disposed of with other methods as you should only put non-hazardous waste in a skip. You also can’t put fridges, freezers, tires, TV’s, batteries or anything else that may cause a hazard. If you have any doubts or questions, then you should always a contact your local council or the team at Caerphilly Skips so that they can advise you on the best way to dispose of your waste. Introduced to the UK in the 1960’s, skips for home use come in some different sizes depending on what the intended use is. These skips are very sturdy and heavy and are capable of holding great weights. 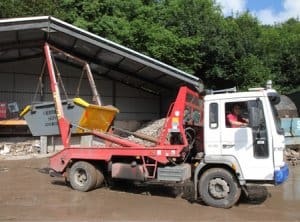 Made of metal and designed to withstand a great deal of heavy and rough use, skips are an invaluable resource for anyone who has a great deal of non-biodegradable waste to dispose of. Skip hire is a huge sector nowadays, with more people looking to DIY programmes on TV for inspiration so that they can take home design into their own hands. With households now wanting to renovate their homes with a new bathroom, kitchen, living room or home extension, the need for a reliable skip service has never been more valuable. From budding DIY-ers to semi-professional contractors, We’re able to provide skips for every situation! Skip hire can be incredibly useful for a range of reasons, with one of those being that not many households can afford neither need a skip permanently. While you are renovating your home and clearing out the mess or working in your garden and throwing out your waste, having a skip on-premise in your home is vital. Skip providers offer great flexibility as you can determine how long you want the skip for, and when you would like it collected. The skip will then be delivered to your address where it will either be placed on your property if you have the extra space or placed on the road. Depending on where you live, you might need a road permit if you have to put the skip on a road if you don’t have the room to put it on your drive. This is something that most providers would let you sort on your own accord, but this is something Caerphilly can organise for you! Caerphilly Skips help you with your skip permit at no extra cost to you as we don’t charge the commission for sorting your permit out! Caerphilly Skips covers many areas within Wales. These include Cardiff, Blackwood, Caerphilly and surrounding places. Whether you need skip hire in Cardiff or skip hire in Caerphilly, our commercial and domestic skip hire service is your only option when it comes to reliable & affordable skip hire! We make sure our clients are our number one priority, and we consider ourselves the best skip provider in South Wales. For quick and easy Skip Hire Cardiff call on 029 2086 2328 and speak to one of our operators today! A 2-yard skip is a perfect choice if you are carrying out some small-scale domestic work and need a smaller skip to contain the waste. Our customers are usually asking for 2-yard skips during the autumn when they need to have a garden clear out. This is also great for some domestic moves if you need to dispose of unwanted items in a skip. Our 4-yard skip offering is the perfect skip for commercial and domestic use. A 4-yard skip can be sufficient for most tasks whether it be a small scale renovation like a bathroom or just a general home clearance. Our 4-yard skips are most popular for those looking to redo their homes and need a skip to throw away the waste. The 4-yard skip can also take more than its smaller counterparts but can easily fit in most driveways, negating the need for a public highway permit. The 8-yard skip – often referred to as the builders skip is very popular for trade customers needing a skip to rid their construction sites of waste. Many people can fully clear the waste in their homes with an 8-yard skip, as this is sufficient for most household clearances. This is also great for very large garden projects that might require something bigger than a domestic scale skip. This skip may be too big for most driveways however permits are not an issue as Caerphilly Skips takes care of this for you. The 12-yard skip, known as the Maxi skip is perfect for large items as well as general waste. This is the perfect solution for commercial customers who need somewhere to hold the waste their business makes. We can arrange an on-road permit as the size of this skip is usually too big to host on private property. This is incredibly helpful to commercial and business customers as we do not charge the commission for the arrangement of the permits. Our Roll On/Roll Off skips are perfect for those looking to carry out substantial construction jobs, extensive home restorations/extensions, and construction site clearances. The titan skip offers you flexibility and also long-term advantages as you will have a hard time filling this skip quickly. 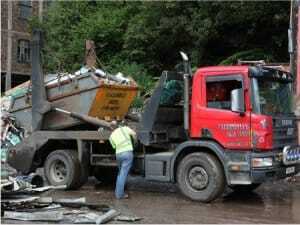 Caerphilly Skips provides a permit for a skip of this scale if it needs to be placed on a public highway. Included in this are easy load skips and enclosed skips. They are intended to match unique specifications such as level of privacy, protection and simple filling for major items. They are available in all sizes regardless of their special style and design. Our skip service is incredibly flexible, so whether you need a short term or long term skip hire, give our team a call, and we can help arrange the perfect skip hire for you! If you need a permit to have one of our skips on a public road, Caerphilly Skips will even help with this at no extra cost. 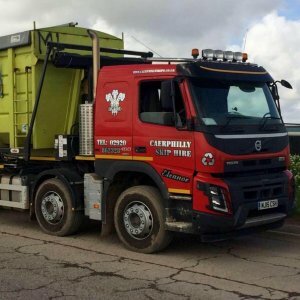 Why Would You Use Caerphilly Skips for skip hire in Cardiff? Once you give us a call for skip hire, you’re going to deal directly with the skip company and never a middleman or brokering service. This helps you to save the excess expense and lousy service. You also get to pick the brains of industry experts within the skip industry and obtain some tips on specifically what the best skip is for your needs. 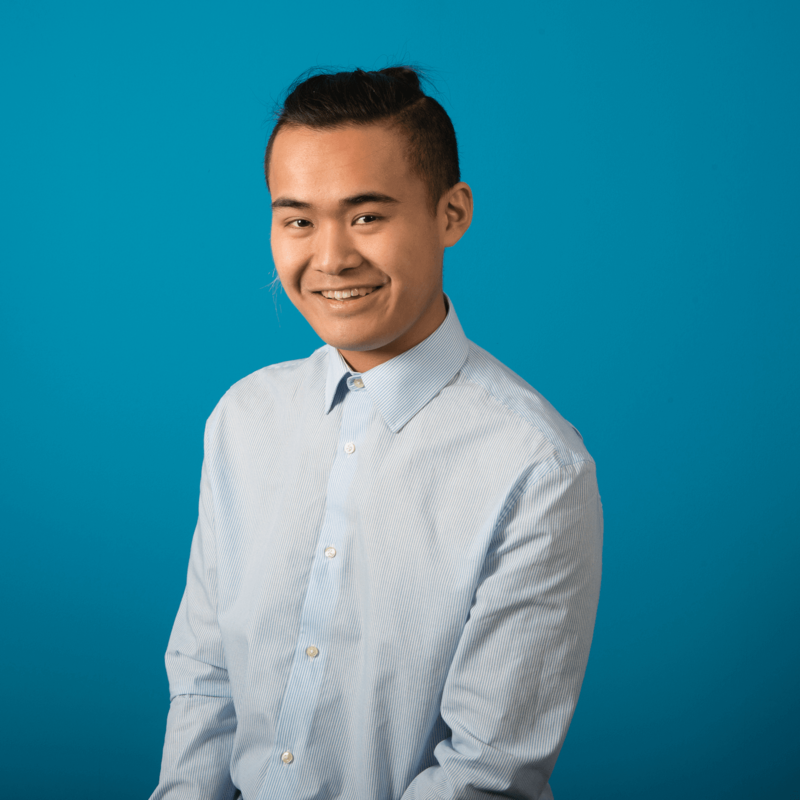 As soon as the client telephone calls, our customer support representatives find out precisely what is getting thrown away and why they need a skip. 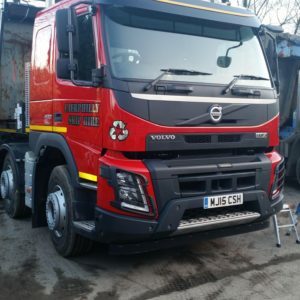 This will assist us to decide on the most suitable skip for them and as well give a service that should efficiently and effectively fit them. For those who telephone before noon, we guarantee to deliver a skip to you the same working day. In the event you call up late in the afternoon, the skip will be brought to you early the next morning. At Caerphilly Skips, we are mindful never to keep customers waiting for long simply because waste disposal is often a vital issue. We are readily available six days a week to ensure your business will not put up with any pointless downtime. We also provide a wait and load service plan whereby our driver will provide the skip and stay with it whilst you load your objects. In this way, you do not need to have dedicated space or room for the skip simply because it doesn’t leave the truck and is taken away straight away. It also saves you the hassle of obtaining a permit which costs approximately £65. However, additional costs may begin accumulating following sixty minutes of waiting. The service is ideal if you’re ready and available to fill the skip. Within just sixty minutes your waste materials or rubbish is removed without having to have a skip on the highway or driveway. Caerphilly Skips knows that not every waste products have to go to the landfill; some things may be recycled and used again. Our skips have enough space or room for your recycling requirements and of course if need be we’re able to offer an enclosed skip to guard your valuables. We won’t mind offering you all the time you need to recycle. It is difficult to know what kind of skip one requires. 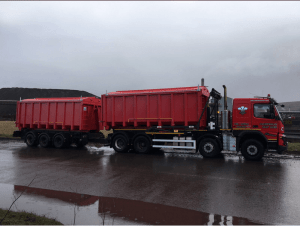 In case you have a massive load of waste material, you could possibly require a major wait and load skip that will take care of that. However, if you just have a very very small load, a compact skip will be enough. 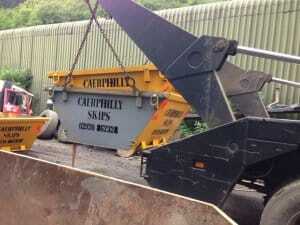 At Caerphilly Skips we have all types and sizes of skips to take care of your commercial specifications. We manage every one of the permits on your behalf and if you have limited space we supply wait and load service to help you save the hassle and inconvenience of a parked skip. Our company is authorities in this industry and will know what things to offer you at the time you call up. At Caerphilly Skips, we know how vital it is to help keep work going. This is the reason our company offers swift services designed to make sure your time is not squandered. Business Oriented clients get the benefit of acquiring another skip shipped to them even though the first is being emptied. This makes certain there’s no downtime between transport. With many years of experience with providing skips too many clients in South Wales, we realise what individuals want just by listening to them. Our service providers are professional, well-mannered and dedicated to the work they do. We surpass what is desired of us, to ensure customers are happy and satisfied. Using the many sizes and types of skips, almost every need related to waste matter removal is satisfied without fail. We’ve very affordable prices, and you will find no hidden expenses beyond the advised price.